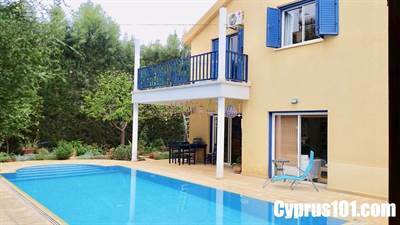 This four bedroom house is situated in the sought after area of Emba on the outskirts of Paphos Town. All amenities are within a short distance including shops tavernas and schools. The property is constructed on two levels and is extremely private with swimming pool and mature gardens. Next → Next post: Price Reduced! Villa in Kamares – New Listing with Stunning Sea & Mountain Views!